The Naso Tang, Naso lituratus, also known as the Lipstick Tang or the Orangespine Unicornfish, due to it's outstanding appearance, featuring orange lips and a pair of spines surrounded by a bright orange area on either side of the caudal peduncle. With an elongated body shape with a narrow caudal peduncle that distinguish this genus from other Acanthurids. Unlike other Unicornfish however, they do not develop a protruding horn. Their body is a grayish brown color with a bright yellow line running from the back of the mouth up to the eye. The snout and in front of this line is black, and the lips are and orange color, making it look like they have lipstick on. 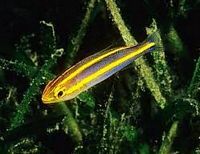 Just above the eyes, there is a pale yellow color, and the dorsal fin has bold colored horizontal stripes beginning with black along the bottom and also on the front part of the fin, white on the top of the remaining fin. There is a blue outer edge stripe and another blue stripe along the base. 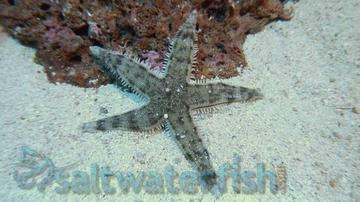 For Males, the caudal fin develops beautiful elongated filaments or streamers from each corner when mature. Like all Naso species, they have the ability to quickly and dramatically change, depending on mood or environment. 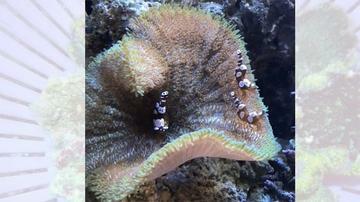 When excited or hiding in the reef their body can become almost black with gray splotchy patches. 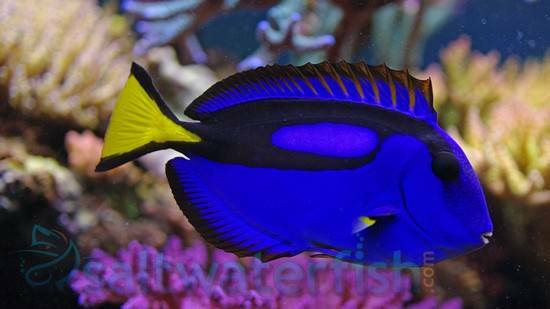 The Naso Tang can grow to be about 15" and requires a tank no less than 130 gallons as a fully matured adult. A minimum 60 gallon tank will be OK temporarily for a juvenile, as they are rather slow growers, but keep in mind that too small of an environment can stunt their growth and they can develop 'behavior issues'. Like most other Surgeonfish or Tangs, the Naso Tang likes water with a moderate to heavy flow, creating currents to swim in. Being very active during the day, they require a large tank with plenty of open room to swim about while also providing plenty of live rocks and or Corals to offer some cover if frightened, and to sleep in at night. Lush natural algae growth in the tank is suggested in order for the Tang to be able to graze upon in between meals. They may also jump out of an open aquarium, so be sure to have a tightly fitting lid. 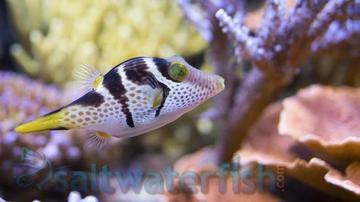 Being a peaceful fish in nature, it will get along with most other peaceful tank mates. Though it can be kept with a variety of tank mates this species has been known to become aggressive towards other Surgeonfish, especially those of its own genus. 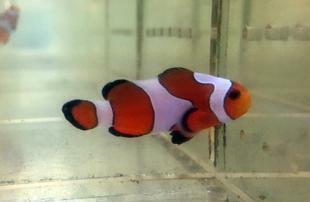 Unless you have a huge system, like a few hundred gallons or so, it is best to to keep only one Naso Tang per system. Like all Tangs, they do not have scales to help protect them, they also do not produce as much skin mucus on their bodies as other fish, making them susceptible to diseases such as Marine Ich and Marine Velvet. 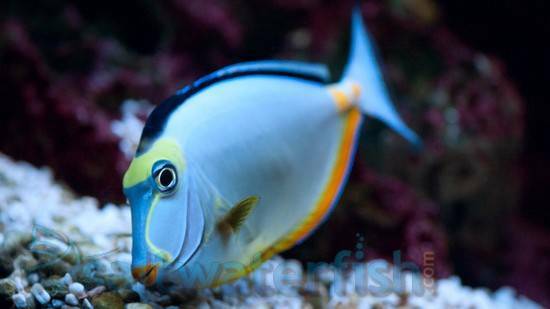 Fortunately the Naso Tang is very tough and is not as likely to develop Marine Ich as many of the other species. However, they are definitely a candidate for quarantine when you first receive them. They can be treated successfully with copper based medications, but because they have an important microfauna in their digestive system, prolonged or continuous use of a copper treatment is not advised. Keeping Neon Gobies or Cleaner Shrimp will help by providing a cleaning service for the Tang, allowing for better health overall. 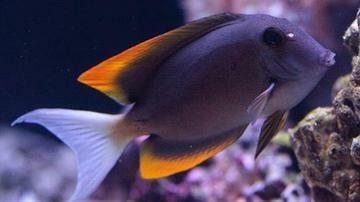 It can be difficult to get the Naso Tang to eat at first, as they are very shy. Keeping naturally growing algae in the tank will help with this, along with blanched lettuce and brine shrimp to entice it to eat. It is also known that pellets soaked in garlic may help fend off Marine Ich, as well as entice it to eat. When you notice your Tang is more comfortable in it's environment, you may offer a variety of algae based foods for the main part of it's diet, along with some meaty foods. 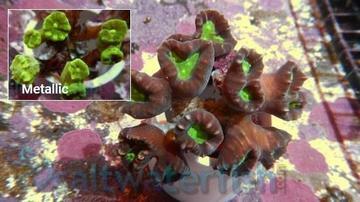 Once acclimated and it becomes accustom to aquarium foods they are quite hardy and long lived. 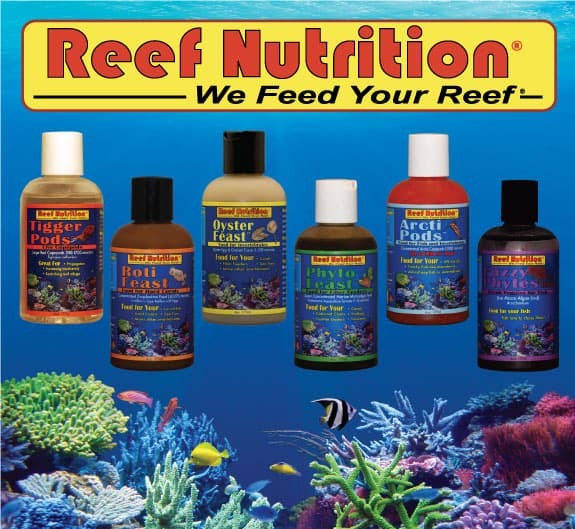 Their diet should consist of natural algae, as well as prepared frozen formulas containing algae or spirulina. Japanese Nori or other seaweed can be offered by attaching it with a vegetable clip to a rock or the glass. Vitamin enriched frozen brine and mysis shrimp should also be offered to help with a balanced diet. Live rock with heavy algae growth is ideal, as it will allow the Tang to scrape it teeth along the rock. Feed at least 3 times daily, in smaller amounts instead of a large quantity once a day. This will help with higher water quality over a longer period of time. 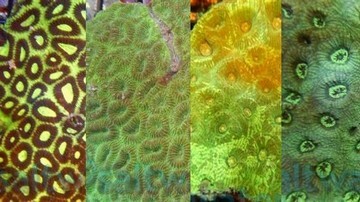 They will thrive in a temperature range of 75 - 79° F and a pH of 8.1-8.4.